Without the insulation in your attic, your energy bills would be even more out of control than they seem to be already! Air would be able to escape extremely easily, rather than circulate to keep the temperature in your home steady and comfortable. As a result, your heater and air conditioning would have to run more to compensate, and the amount of energy spent would be a nightmare. There are a number of issues that can occur with your attic's insulation that can cause it to malfunction. Environmental damage can be a factor, particularly if water has leaked into your attic. Not only will it harm the integrity of your insulation, but the water can also cause mold to grow and spread. Fire can also be an issue, as even just the smoke can have negative effects. Have you dealt with pests in your attic? It's highly likely that they used your insulation for nesting purposes, which means they've chewed into it. This can lead to holes that cause cold spots, as well as shifting over time so it's not covering where it should be. Age can also be a factor, as over time insulation will crumble. If you've noticed that your energy costs are starting to rise and aren't sure why, these damages may be the culprit. Our experts can come out right away and help determine what the best solution for your home's attic is. 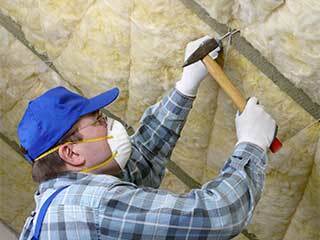 It may be simply adding more insulation to what's there to make it more suited to your area's climate or removing what's there due to damage. If removal is necessary, we'll be sure to do it safely so that there's no cross-contamination of particles into your home's air to cause any health risks. We can then replace it with whatever type of insulation you prefer! Installation in new attics is also available. Contact Attic Cleaning Thousand Oaks now and let us get to work! As our name suggest, we also offer professional attic and crawl space cleaning and decontamination.